Dedicated to the Lourdes Matha, Pallikkunnu Church was established in 1905 at the initiative of a French Missionary Fr. Jeffrine. An interesting aspect of this church is that it has several rituals and practices similar to those prevalent in Hindu temples. 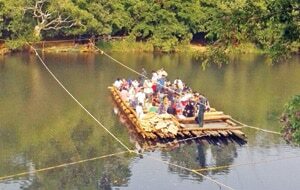 The annual two week 'Perunnal' festival in early February draws large number of devotees from other parts of Kerala, as well as outside. The temple is 19 Kms. away from Kalpetta, 38 Kms. away from Sulthan Bathery and 23 Kms. away from Mananthavady. Pakshipathalam in the Brahmagiri hills at Thirunelli, is a challenging tourist spot. It is 7 kms. north-east of Thirunelly temple and is situated 1740m. above mean sea level. To reach Pakshipathalam seventeen kilometres have to be covered through wild forest. This place can be accessed only by trekking. Rare species of birds can be sighted from the watch tower of this bird sanctuary. The deep rock caves are formed among the thick blocks of rocks at the northern top end of the Brahmagiri. 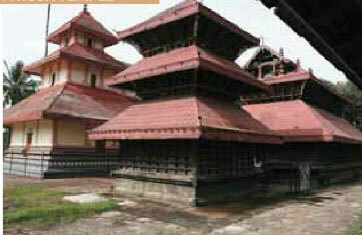 Special permission has to be obtained from Forest Department to go to Pakshipathalam. District Tourism Promotion Council arranges vehicle, guides, camping equipments, etc. to the tourists, on hire. Emergency Details: Phone : 04936 - 202134, 04935 - 210055 (Thirunelly Temple). Transport Terminals: Nearest Town : Mananthavady.